There's nothing quite as nice as making your own pasta sauce; not only is it far healthier than most shop bought brands but it tastes fresher and really doesn't take that long to make. Okay you have to roast the onions and peppers but once they're in the oven you can get the pasta on the go. Well anyway not long after that I got all excitable again when the nice people over at Prestige sent me a rather nice Roasting Dish from their Inspire range, plus a gorgeous Frying Pan from their Prism range. They asked me to make a recipe for Valentine's Day, so armed with my packet of Grande Fusilloni, roasted pepper sauce came to mind. 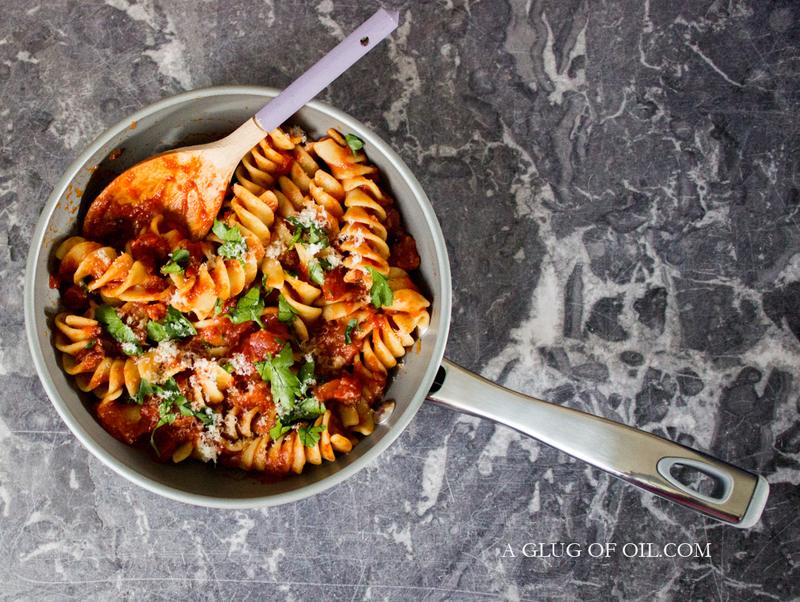 Homemade pasta sauce is perfect for a fuss free, quick yet tasty meal for 2 or indeed for any amount of people (just double the recipe) it's a great sauce to perk up pasta at anytime. 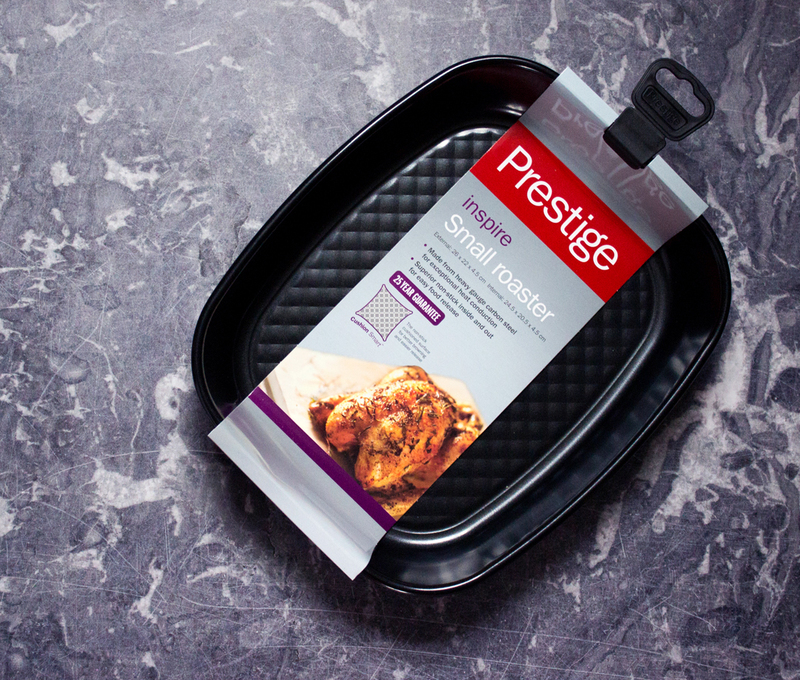 But first, let me tell you a bit about these products from Prestige. 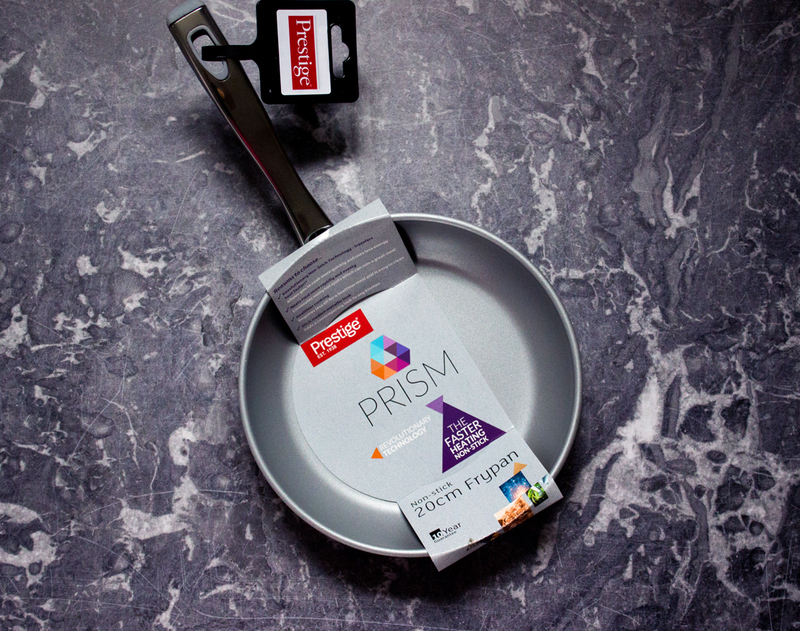 First up the Prism Frying Pan; I chose the 20cm one because it's perfect size for two. It is available in other sizes and metallic colours. Silver is my personal favorite but bright Purple and deep Copper are other options and are all equally gorgeous. Although Prestige say you can use metal utensils they do recommend the use of wooden or heat resistant plastic and I agree. The pan is dishwasher safe but personally I think it's really not necessary as it's so easy to clean in nice hot sudsy water. Check out the full Prism Range by Prestige. Then there's the Small Roaster from Prestige Inspire range which was perfect for roasting the peppers and onions for my recipe but it's also available in other sizes. I was very impressed with the quality. Made from heavy gauge carbon steel is has great heat conduction. The non-stick surface has a cushioned surface making it better for browning and easy release of food. It's suitable for use in the fridge and it's also okay to put it in the freezer; but if you so just be sure to put it into a cold oven so that the bakeware and oven heat together. 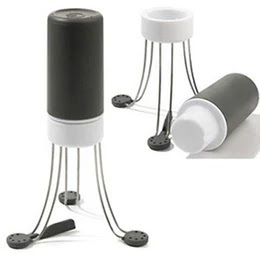 It is not suitable for metal utensils nor for use over direct heat or under grills. As with the Prism frying pan this roasting dish is also dishwasher safe although hand washing is recommended. 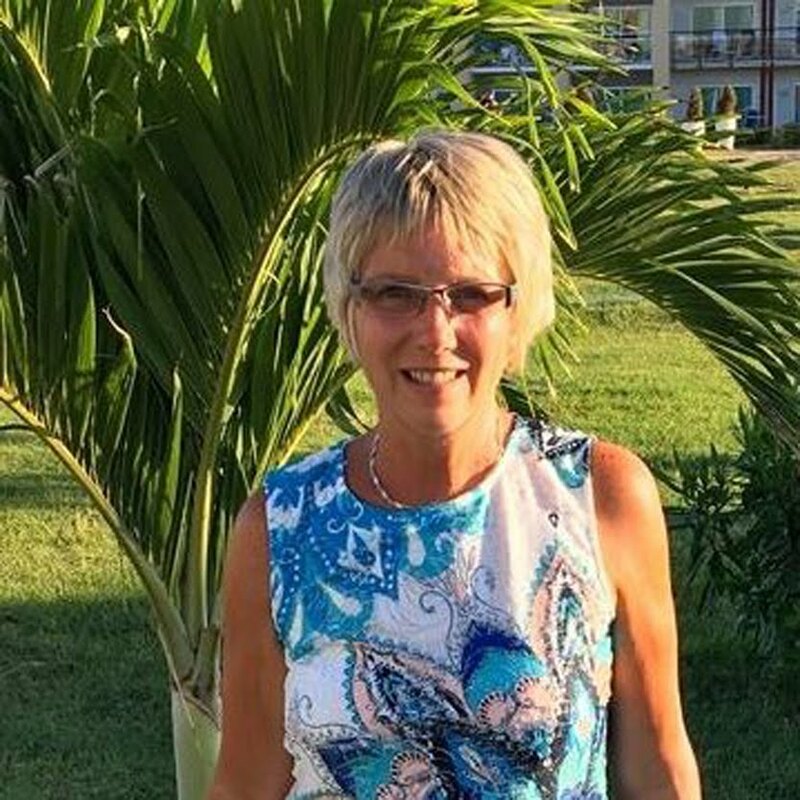 *I use Cirio tomatoes as the juice in the tins is pretty much non existent and really thick which is fantastic as you get a tin packed with tomatoes instead of watery juice in some other brands. 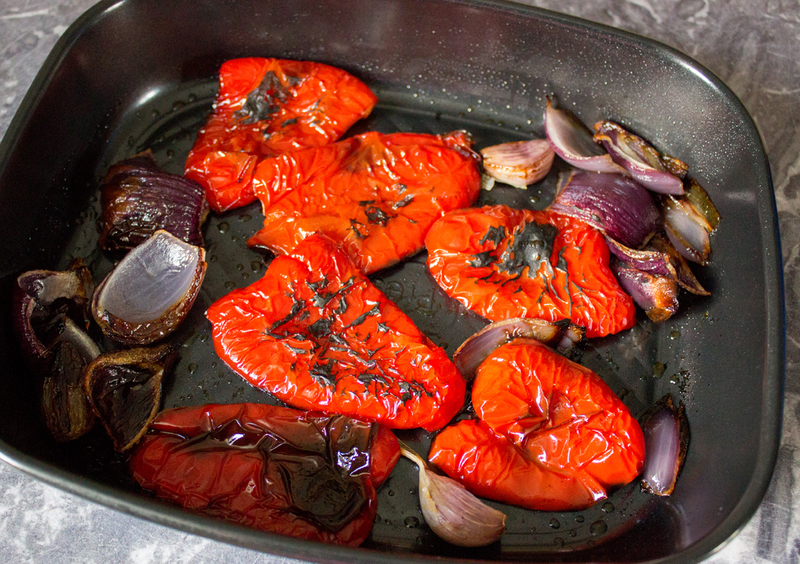 Put the prepared peppers, onions and garlic into a non-stick roasting dish and drizzle with a little olive oil. Use your hands to coat well. Put the dish onto the middle shelf and roast for about 30-40 minutes until they have a good colour. Once they're ready remove from the oven and transfer to a small dish. Cover in cling film and leave to cool for a bit (this will make it really easy to remove the skin from the peppers). Remove the skins and discard. Also remove the skin from the garlic. Throw the lot into a food processor and whiz for a few seconds till you have a smooth texture. Get a frying pan and add a tin of tomatoes along with the peppers. Add a pinch of sea salt and a good pinch of black pepper and heat thoroughly. Now add a splash of balsamic vinegar and have a taste. Add another splash to suit your taste. Using a good quality balsamic vinegar give the sauce a lovely sweet taste. *If you don't have any although it won't be quite the same, you could add a squirt of tomato ketchup instead. 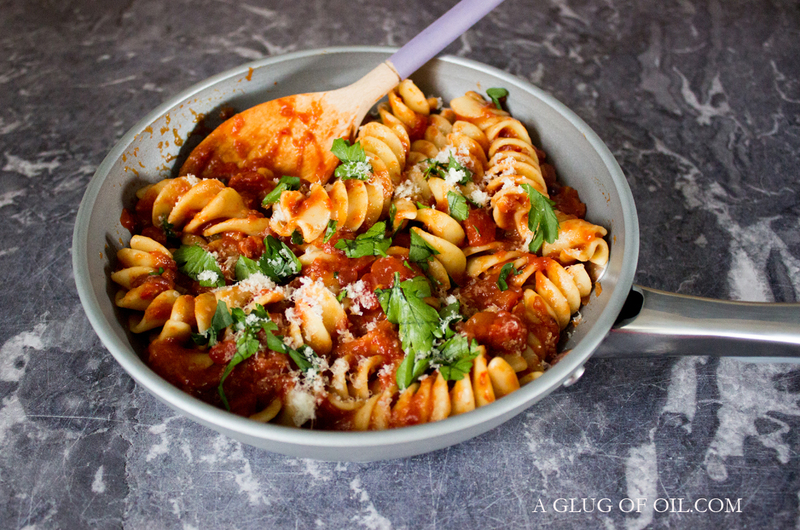 Once the sauce has heated through, drain the pasta and add it to your sauce along with one tablespoon of the cooking liquid which will thicken the sauce nicely. Serve immediately topped with chopped parsley and a grating of Parmesan or vegetarian alternative.